SBI Clerk Exam Pattern 2019: State Bank of India Clerk Exam Pattern 2019 Available Here!!! Complete updated details… Check Here… SBI has recently out the notification for the engagement of Junior Associates (Sales & Support) Post. This year they have announced totally 8,593 vacancies. It is one of the most expecting notifications among the banking aspirants. 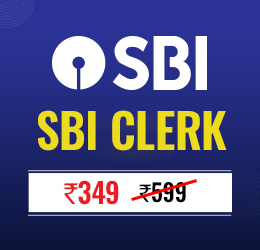 The SBI Clerk apply online link was activated on 12-04-2019. The final date for the submission of an application and the payment will get closed on 03-05-2019. Interested candidates kindly refer the official notification to know your eligibility criteria. Eligible candidates should submit your application within the last date. Then coming to the preparation side, candidates next step is to prepare for the upcoming SBI clerk exam. Before that, everyone should know about the exam details regarding eligibility criteria, application process, syllabus, examination pattern. If any changes have been introduced in the SBI Clerk 2019 Exam Pattern. So that they should know about the upcoming exam and they can plan for their preparation according to these details. Preliminary Examination: Adequate number of candidates in each category will be shortlisted for Mains exam by SBI depending upon the requirements for Online Main Exam. Main Examination: Candidates should qualify each section as well as the overall cut-off in the main exam to be eligible for the Final Selection in the provisional allotment. Final Result: The Final result is declared on the basis of merit list in SBI Clerk Mains Exam. The marks obtained in the prelims exam will not be considered for the final selection. Marks obtained in the Mains exam will only be considered by the board for final selection. Provisional Allotment: The provisional allotment of the eligible candidates will be released on the official website. The provisional allotment will be made depends upon the merit list. Further, the SBI will take the responsibility to inform the qualified candidates about their joining dates and procedure lies with the respective banks. Prelims Exam is the initial stage for the selection process. Candidates should get qualify the prelims to attend the mains exam. The prelims exam consists of Quantitative Aptitude, Reasoning Ability & English Language. Quantitative Aptitude & Reasoning Ability comprises of 35 questions each and English Language section will consist of 30 questions. Totally the prelims will be conducted for 100 marks. Sectional timing will be implemented for each section. 20 minutes will be fixed for each section. The candidates must attempt the sections in the same order and within the allotted time fixed by the examining body. The candidate can’t leave the existing section before the time allotted. The next section can only be attempted after the current section is completed. The prelims exam will be an Online Computer Based Test (CBT). The Test will be available in Bilingual(Both English & Hindi). Each question is carrying 1 mark. Negative mark is applicable for every wrong answer. 1/4th of the negative mark will be deducted for every wrong answer. The Mains Exam is the final stage for the selection process. This is a more important phase compared to the prelims exam because marks obtained in Mains will only be considered for the final selection. Provisional allotment will be made based on the marks obtained in the mains exam. So candidates should give more importance than the prelims exam. The mains exam consists of 4 sections namely Quantitative Aptitude, Reasoning Ability & Computer Aptitude, General English & General/Financial Awareness. The exam will be conducted for 200 marks with 2 hours 40 minutes. Sectional Time is applicable to each section. The candidates must attempt the sections in the same order and within the allotted time fixed by the examining body. The candidate can’t leave the existing section before the time allotted. The next section can only be attempted after the current section is completed. The Mains exam will be an Online Computer Based Test (CBT). Dear aspirants, here we had provided you with the complete updated SBI Clerk Exam Pattern 2019. 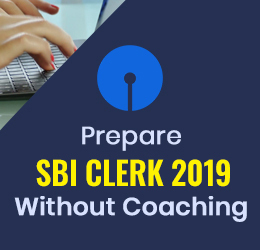 Before going to start your preparation kindly refer here and do your plan according to the SBI Clerk 2019 Exam Pattern.